"Just what is this operation?" Hey Irina, i hope you are fine. Do you have a clue or someone gave the good answer ? Hello, Irina... This is a little complicated... Some help ? I still guess it's FRATERNITY OF THIEVES. Leslie, i just watched again this episode. I think you are right. 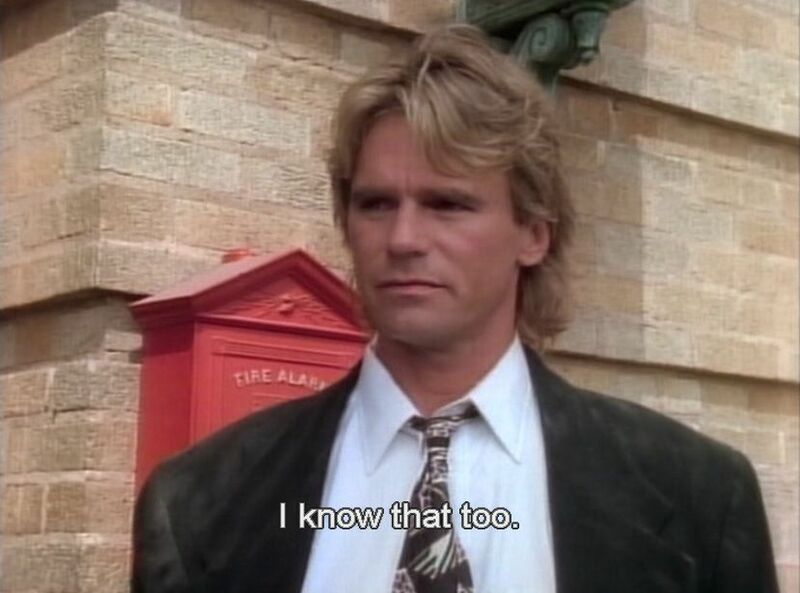 Macgyver has followed someone, who is killed. Mac found a butterfly with a microfilm. And then approximatly 7'45 Peter Thorton spoke about a program. And so Mac told "jus what is this operation"
You're right, ladies! I'm so sorry! It's long delay! Here you are..."I KNOW THAT, TOO"
Episode 4 Season 7 "The prometheus Syndrome"
YES!! BEAUTIFUL ANSWER - THANKS FOR THE SCREENSHOT!! You're welcome. It's my way to answer . Pleasure for me to watch again the episodes. I guess It's my turn, isn't it ?